One of the most beautiful things in life is to share something with somebody. Sharing the passion for a composition and its composer, making music together, supporting each other and sharing ideas is one of the most beautiful things in life for a musician. Since early in her childhood Jelena Stojković has played with several different instruments. She started a piano duo at age 14 and won, amongst other prizes, the federal competition of fomer Yugoslavia. As a student she participated several times in Colluvio (Austria), a chambermusic project to improve international understanding. 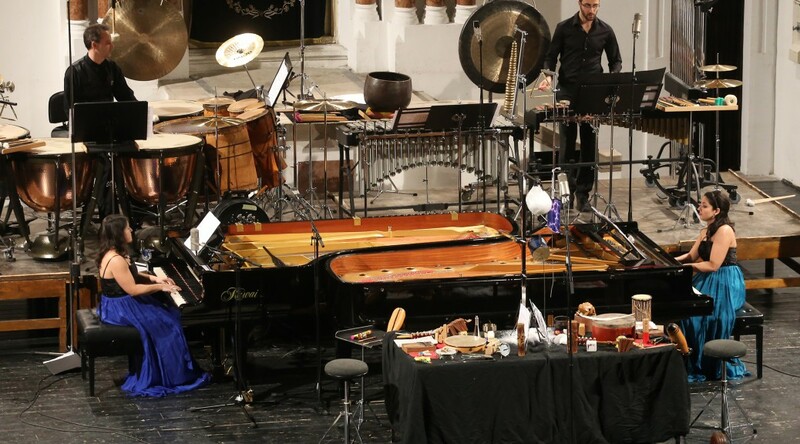 Also, for a number of years, she was a member of the Munich Percussion Ensemble, with which she appeared in many performances in Germany and abroad. At present, Jelena Stojković is a member of the piano trio Animando and the Quartett Quattro per Due.